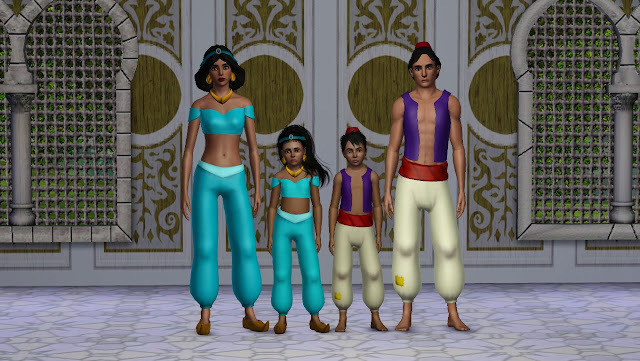 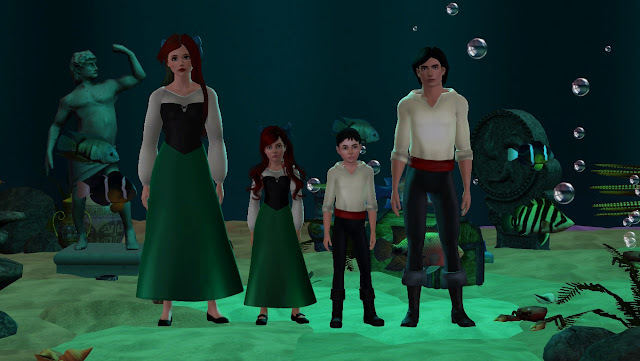 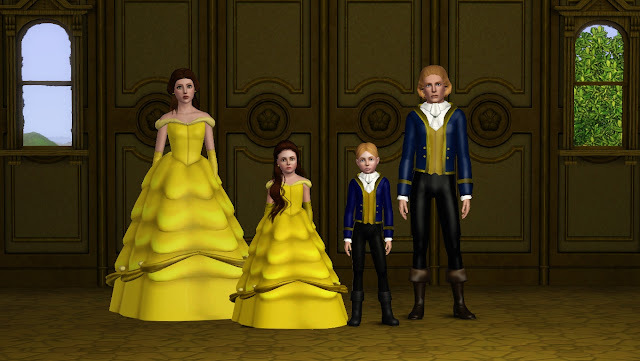 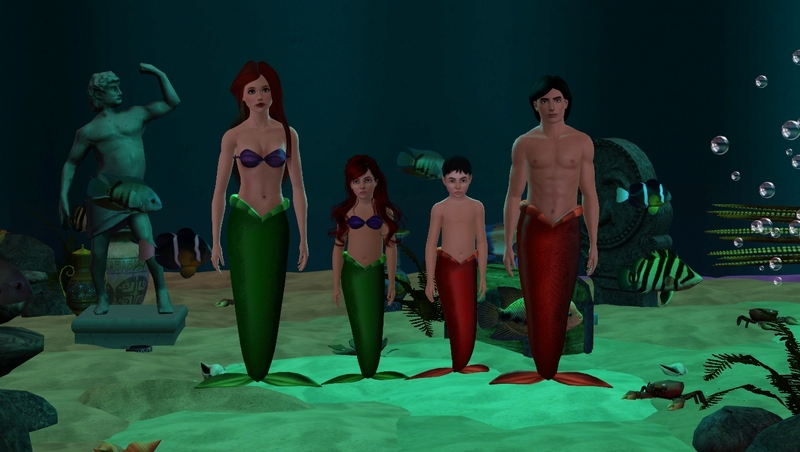 If you have children in the Sims 3 and they want to be their favourite Disney characters, here you have Walt Disney costumes for children. 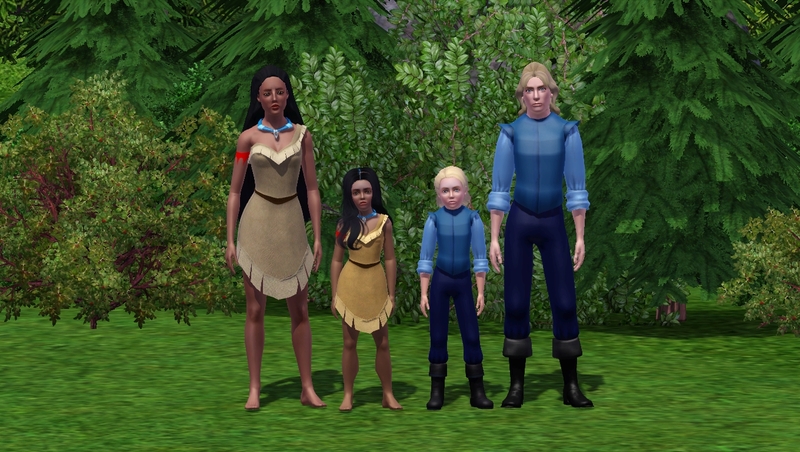 Omg so many kids' clothes, this is HEAVEN! THANK YOU SO MUCH! 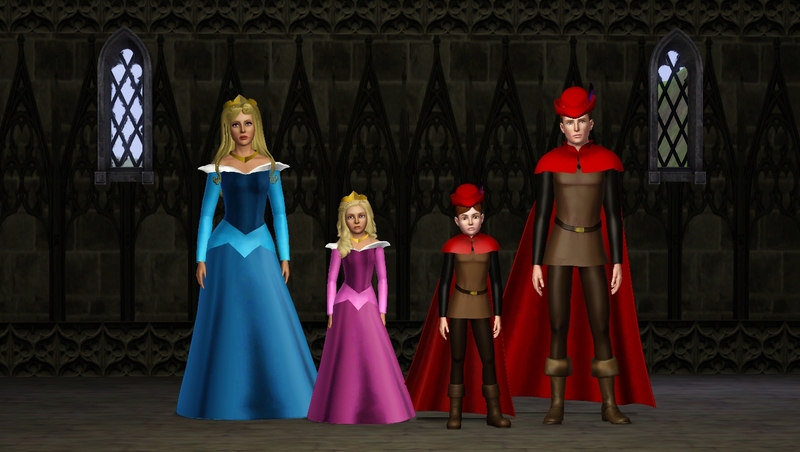 Hello, I was trying to find Anna's dress for adult sims, and can't find it anywhere, I only found the coronation one, but not the blue and black one, neither the cloak. 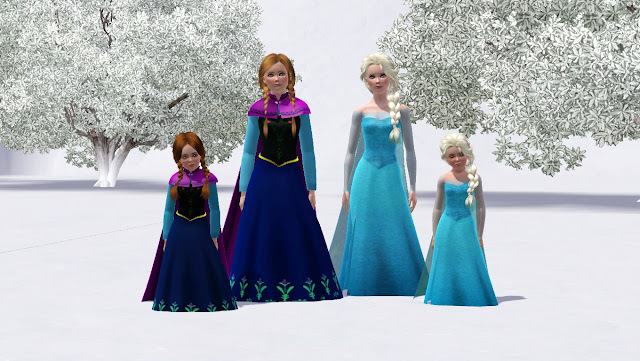 Looks like it was here but you erased the entry? 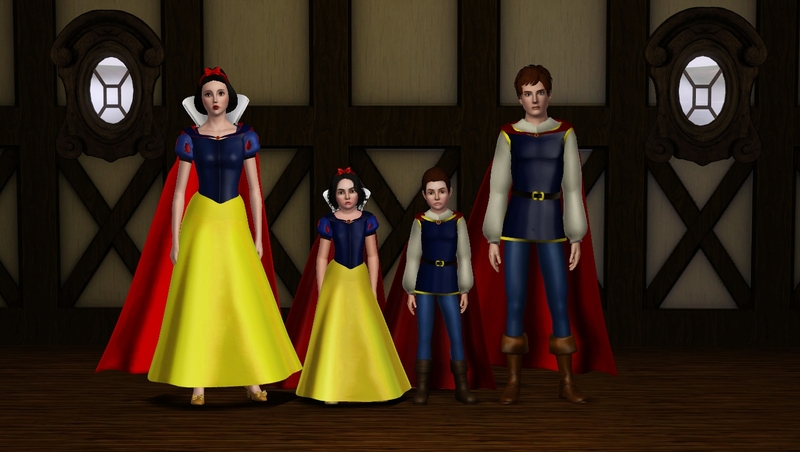 I was wondering if you could please please please reupload it? 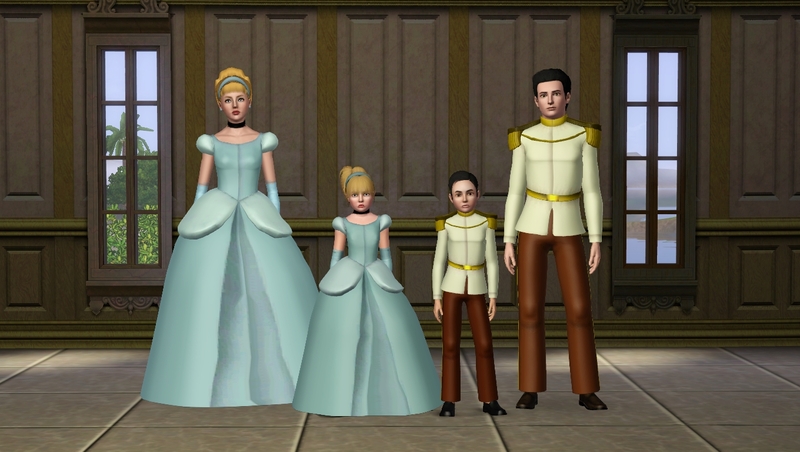 I love your work, I like a lot costumes and fairy tales, thanks for sharing your creations! The To kids in Sleeping Beauty costumes look like Dawn and Day from the original fairytale.